The transom's size is critical to sizing and placement of your outboard. 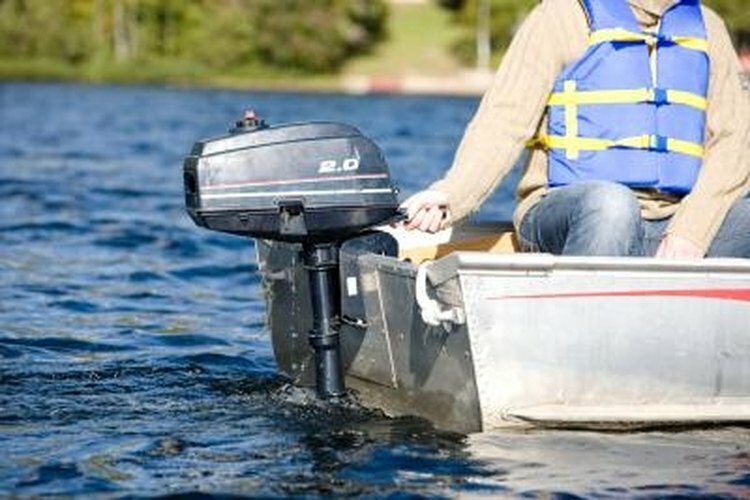 Identifying your Mercury outboard motor can be challenging, particularly if your motor was built prior to March of 2001. If your motor was built after March 2001, the identification is significantly easier since there's only been one change in the method of developing model codes for new products, and that change--adding a consumer-readable date to the information on the motor--makes it less difficult to identify the latest versions of Mercury outboard engines instead of just depending on the logo on the engine cover. Look to see if there's a date stamped above the serial number. If so, then the second-to-last position in the model code now represents the production era. There is no longer a model year on Mercury engines, and the model code will no longer be updated every 12 months. Mercury will update the model code only when significant changes occur. Buy a shop manual for your motor based on the model number if your motor's model numbers don't resemble the model numbers in the example or don't have a date stamp. You can purchase the manual from a parts dealer but not from a Mercury dealer. Mercury Marine no longer provides shop manuals to consumers nor information on motors produced, before March 2001, when OMC/Mercury was acquired by Bombardier Corporation. They do not provide shop manuals online.